Rapidrop Sprinkler Guard encases the sprinkler to protect it from physical damage. Guards are recommended for sprinklers installed in areas exposed to high level of mechanical activities, e.g warehouse racks. 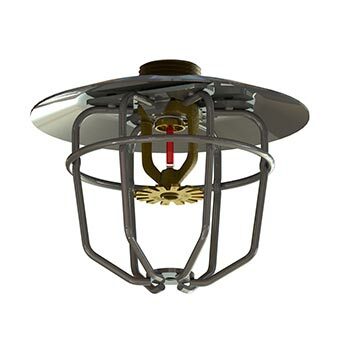 Sprinkler Shields are used in multilevel fire protection systems to ensure proper operation of lower level sprinklers. 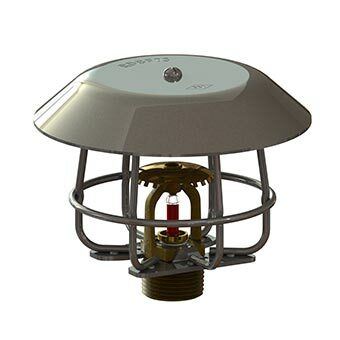 Shield provides protection for the heat responsive element of the sprinkler from direct spray of water from the neighbouring sprinkler or from the run-off water from the sprinkler installed above, both of which could delay or prevent the sprinkler from operation.